Today we get a trailer for a film that has surprisingly up until now, flown under my radar. In fact, I hadn’t even heard about it until today. Directed by Jonathan Levine, 50/50 stars two pretty big names, Seth Rogen and Joseph Gordon-Levitt and the supporting players are strong as well, including names like Anna Kendrick, Bryce Dallas Howard, Anjelica Huston and Philip Baker Hall. Not bad eh? Hitting theatres September 30th, the film actually looks quite good. I do enjoy all of Rogen’s and Gordon Levitt’s work but aside from that, it looks like a genuinely honest and touching film, with both heart and humour. The obvious comparison is to Funny People, which Rogen also starred in and was a film that I really enjoyed. Early reviews are also quite positive, praising the film mainly for the incredible performances. 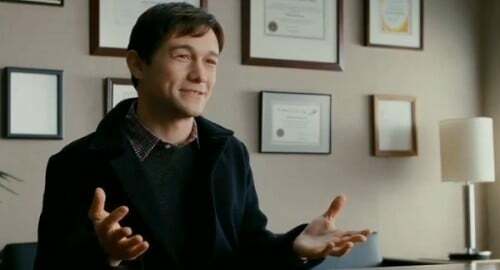 Could this be the film that finally earns Gordon-Levitt a much deserved Oscar? Likely not, but it will probably add another excellent credit to his resume. Check out the trailer and plot summary below. Adam (Gordon-Levitt) is a 27-year-old writer of radio programs who is diagnosed with a rare form of spinal cancer. With the help of his best friend (Rogen), his mother (Huston), and a young therapist (Kendrick) at the cancer center, Adam learns what and who the most important things in his life are.